I'm very reluctant to be making this thread, but it feels like I have to as I have nowhere else to turn. For the past year or so I have been experiencing medical troubles. In recent months I have been having repetitive dreams of being attacked by a spirit. The spirit appears in many different guises, including a westerner in monks robes. I can feel in these dreams that it is the same spirit, and each dream ends in the exact same manner, it attacks me and I experience an extremely intense draining/sucking feeling. I have never in my life experienced dreams this physically intense before. I have no idea what to do, and I would appreciate some advice. I am considering visiting a local TB (Gelug) center and requesting an appointment with the Lama so I can ask for help, but I am unsure if this appropriate to ask as someone who has never been there. It is said that Simhamukha practice is good for dealing with this kind of things. Or, if you don't have transmission for Simhamukha, you might want to consider Dorje Dermo. However, from my own experience, I found that just praying to Guru Rinpoche works without fail. Dusum Sangye, 7-line prayer or just the Vajra Guru mantra. I'd visit an authentic Nyingma Ngakpa center, Lama, or commission a puja at least from a distance from one. Authentic ngakpa yogis specialize in the types of reversing practices you may require. If possible, attend a Gutor / reversing practice puja before the Tibetan New Year, and include offerings and your own substances in the main torma that's sent out. Usually this is a Vajrakilaya puja for Nyingma pas. They are hosting pujas like this at Pema Osel Ling and Orgyen Cho Dzong for instance in the USA. Where are you located? I will contact them if I have trouble finding help in person, thank you. I recite the Vajra Guru mantra every night before I go to bed, unfortunately the problem still occurs, but thank you for the advice. In the Northeast, I live approximately from Orgyen Cho Dzong according to my gps. Any idea who I might contact there to explain my situation? Thank you. There are many types of spirit and the antidote practice varies. Two aspects - getting rid of the problem and then protecting yourself against future problems. Recitations of mantras etc won't work unless you have attained the 'function' of them (as ChNN puts it). I've seen the Heart Sutra used, for example, by a Gelug monk, to excellent effect, and I've used Nyenpo Lha Sum and Guru Dragphur myself, which has worked.........for me. In terms of prevention, we have Dharmapala practices also. And that's the key.....you need advice from a Lama on the form of spirit affecting you, the best remedy for you personally, how others may be able to help you, and how you can also help yourself thereafter. I live two hours away*, woops. Have you been attending any tibetan buddhist groups? Have you received any empowerments? I used to have many dreams similar to this. Typically it's called sleep paralysis. Although I think there's a bit more to it than that. Typically the figure will make its presence known through a feeling of dread/fear, and it can be very intense. Personally, I would simply ask/pray for help from Dharma Protectors, in my experience, this is probably the most effective thing for it. No idea what form of Buddhism you practice, but in many, there are a few deities/Bodhisattvas you can pray to for this kind of this. I believe Tara is one of them. You need to consult with an expert. yes, get a personal "reading" from a qualified Lama. meantime, say the following dharani as many times as possible before sleep. I prostrate to all the Buddhas and Bodhisatvas. By simply intoning this one time, all bad dreams will be dispelled. [Thus] the dharani known as Dispelling Bad Dreams is completed. Again, thank you all for your kind responses. I have experienced sleep paralysis before, this is very different. Do you have a history with any hindu groups, have you left a spiritual group because of negative energy etc? You haven't given many details. There are things that help. Rose water, spray on your bed and around the room. Leaving a night light on in the bedroom. Holy Water from a Catholic church. With: H.E. Garchen Rinpoche and Garchen Institute Lamas. Do you have any TINGSHA'S ? If so, use them all over your house as you recite OM MANI PADME HUM. And pray for whatever negative energy is there to be at peace...just as you would like for yourself. My daughter lives in a very old house, one night everyone in the house had THE SAME DREAM ,OF A EVIL SPIRIT TRYING TO GET INTO THEIR BODY !!! How freaky is that ????? Anyway...i asked my teacher (a Sakyapa), if he could come to her house & do a ritual....but he told ME i could go there & "Just say some prayers"
I have suspicions about what might be causing this, but until someone can divine for me I can't be sure. 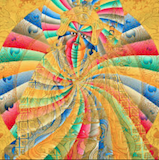 This spirit first appeared in the form of a westerner in Tibetan robes, telling me to stay away from old aged teachers. The first time it attacked me we spoke about Buddhism before it attacked. And in another dream it forced me to prostrate before it. Whatever it is, I believe it has some sort of connection to or enmity towards the dharma. Tried sleeping with the lights on already, these dreams have also happened during daytime naps. Gyalpos often manifest as monks. If it's a gyalpo, that might be a tough nut to crack. But I remember that years ago, ChNN told those who were previously involved in a certain gyalpo practice that they can e-mail him and he would send them something for protection. 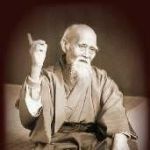 To all those offering advice: If you do not know what the source of the problem is, how can you offer practice advice? Varis needs to speak directly to a teacher and possibly to a medical specialist. If you could give me his email I would appreciate it, I'm willing to exhaust all options if possible, although I'd prefer to speak to someone in the flesh. I was taking medication for one of the problems, but dietary change has eliminated the need. I do not have medication for the other, but the symptoms are unrelated. To be more clear, the "draining/sucking" mentioned was not about lack of energy, it's a physical sensation/visual phenomena that happens during the dream. I only have a lack of energy immediately after these specific dreams, which is likely because they're so physically intense I wake up in a sweat. Last edited by Varis on Mon Jan 15, 2018 10:27 am, edited 1 time in total.